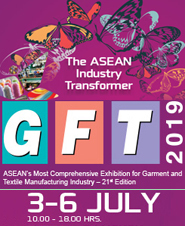 ASEAN's Leading Exhibition on Garment and Textile Manufacturing Industry - 21st Edition As fashion and demands for garment and textiles evolves, so must productivity of manufacturers who seek growth in the fast-changing and demanding world. Merchanization and technologies are key success factors that can take your buyers' business to the level they have never imagined. And they will be coming to see you and over 250 brands from 25 countries at GFT 2017 to find what they are looking for. 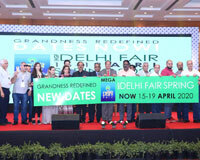 Powered by an intensive year-round buyer promotion and relations campaign, GFT will be meeting place over 17,000 ASEAN buyers will be making their calendars for.